John Clayton’s mother had already died of natural causes when apes killed his father. He was an infant, alone in the jungle of Congo, but was noticed and raised by an ape called Kala. The apes knew John as Tarzan, and he grew up close to Kala and her son Akut, who became Tarzan’s brother. 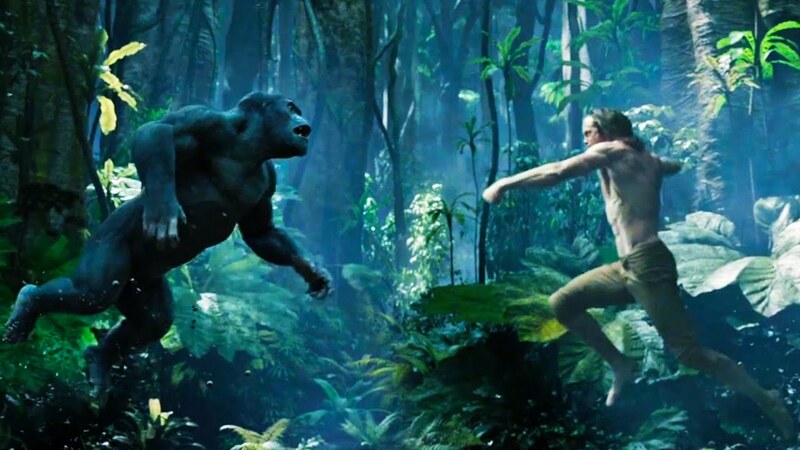 When Tarzan met Jane, he decided to return to England where he reassumed his birth name, and the title of Lord Greystoke. An invitation arises for John to return to Congo, and although he initially declines, he is persuaded to go by George Washington Williams, who wants to investigate his suspicions that Congolese people are being enslaved. When John returns to the Congo, he finds that the government of Belgium is enslaving people – and he learns that a local chief holds John responsible for the death of his son, and wants John dead. John was raised by apes, and known in his adopted homeland as Tarzan. 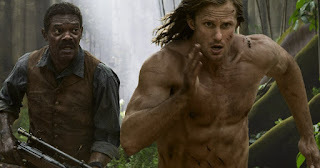 He reclaims his birthname and birthright, and obviously struggles with reconciling the two parts of his identity – he initially refuses to acknowledge the name Tarzan. He is asked whether his mom was a monkey, and although he was raised by Kala and considered her his mother, he replies “of course not. My mother was Anne Clayton.” Circumstances bring him back to the Congo, where he reencounters his tribe of apes, who now view him as a traitorous deserter; their relationship is only mended after Tarzan receives a brutal beating from Akut. Tarzan and Jane lost their first pregnancy, and the grief colors their relationship. After their adventures, Jane is able to carry a pregnancy to term. Tarzan is welcomed back by the humans in the Congo who knew him when he was young. 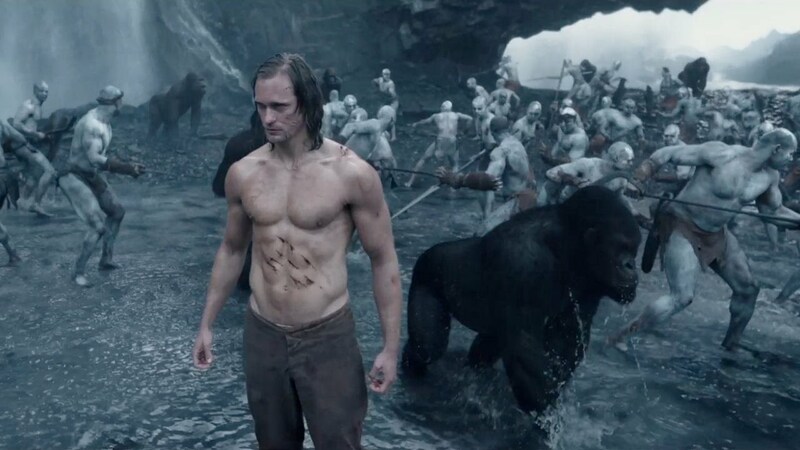 Tarzan eventually appears able to reconcile his life as John and his life as Tarzan into one cohesive life. 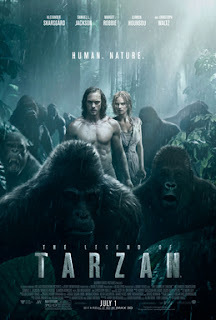 Tarzan experiences much loss; his human father is killed by apes, his ape mother is killed by a human, and a fatherly tribal chief who cares about him is shot dead by a villain. There is quite a bit of violence in the film, making it unlikely to be a good fit for most kids. An ape bites a man in the neck. A man is eaten by crocodiles. A man shoots another dead. A local chief wants Tarzan dead because Tarzan killed his son; Tarzan killed the chief’s son because the chief’s son had killed Kala. Eventually, Tarzan and the chief reconcile to some degree. Tarzan does not want Jane to come to the Congo with him; he tries to prevent her coming by locking her in her room. Scenes of people being enslaved and Rom’s racist talk will be uncomfortable or disturbing for most viewers, but could be particularly difficult for kids who have been abused or subjected to overt racism. Tarzan might be a better choice for most families. Is the Congo John’s home, or is it England? Can it be both? Is his name John, or Tarzan – or can it be both? What makes it difficult to live with two histories, two homes, and two families? What could make it easier?